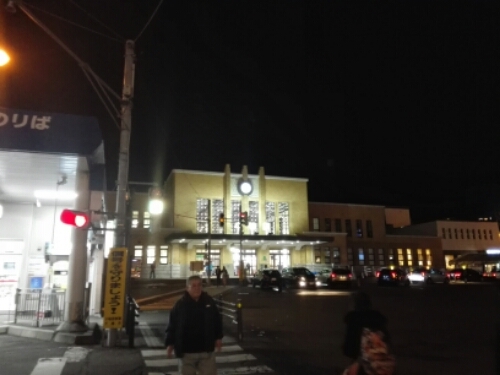 Thirty minutes by train from Sapporo lies Otaru, a small port town and bedroom community. It has a population of about 130.000, making it very small by Japanese standards. This entry was posted in Japan and tagged Hokkaido, Otaru, Sushi on March 8, 2016 by Traveltorgeir. Some places in Japan are just amazing to see, Dotombori Street in Osaka is one of them. It is an attack on your senses. The sounds, the smells, the light. All the people, some rushing by, others just wandering around. Huge lines form at the most popular street food vendors, the less popular ones shouting out their wares and prices. This entry was posted in Japan and tagged bar, Dotombori, food, Osaka, Sushi on November 13, 2015 by Traveltorgeir. Watching him trying to eat sushi was horrible. He literally looked like he would throw up for every bite he took. He still kept trying though, he worked his way through every piece on the plate, if only a little taste. The tuna and the snapper he actually liked, he said so, but did not finish them without some encouragement. This entry was posted in Japan and tagged food, kyoto, nara, Osaka, Sushi, wagyu, yakitori on October 15, 2015 by Traveltorgeir. This time in Tokyo I didn’t visit Tokyo Skytree, I have been there twice before. It was a bit cloudy on my first visit, I had to visit again on a sunny day. This entry was posted in Japan and tagged asakusa, skytree, Sushi, tokyo on August 19, 2015 by Traveltorgeir. The most famous Japanese food is probably sushi. 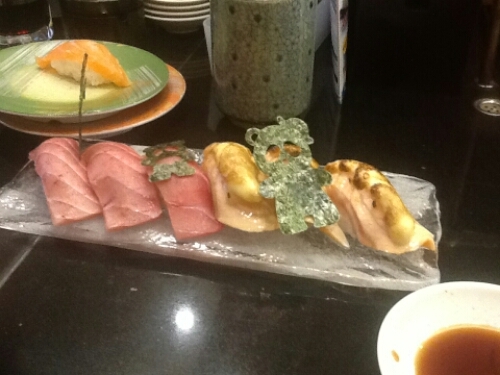 Japan has so many other great dishes to offer, but for now sushi seems to be most popular. A lot of the sushi we are served in the west is not proper sushi though, it has been Westernised for our palate, most of it coming out of California.